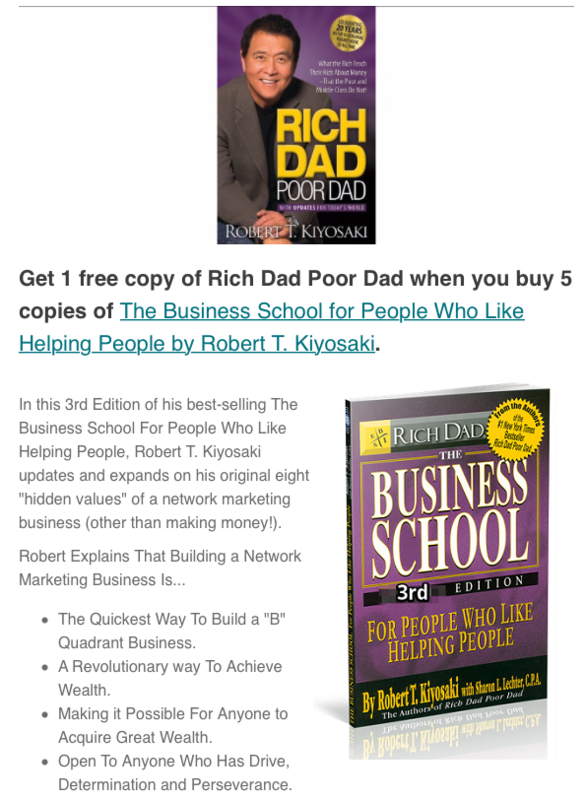 Get 1 free copy of Rich Dad Poor Dad when you buy 5 copies of The Business School for People Who Like Helping People by Robert T. Kiyosaki. 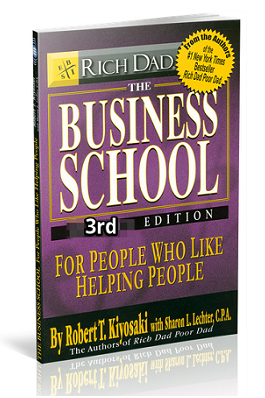 In this 3rd Edition of his best-selling The Business School For People Who Like Helping People, Robert T. Kiyosaki updates and expands on his original eight "hidden values" of a network marketing business (other than making money!). The Quickest Way To Build a "B" Quadrant Business. A Revolutionary way To Achieve Wealth. Making it Possible For Anyone to Acquire Great Wealth. Open To Anyone Who Has Drive, Determination and Perseverance. As a special bonus, the book includes three additional "hidden values" from Kim Kiyosaki (Marriage and Business), Sharon Lechter (The Family Business) and Rich Dad's Advisor Diane Kennedy (How You Can Use The Same Tax Loopholes The Rich Use).